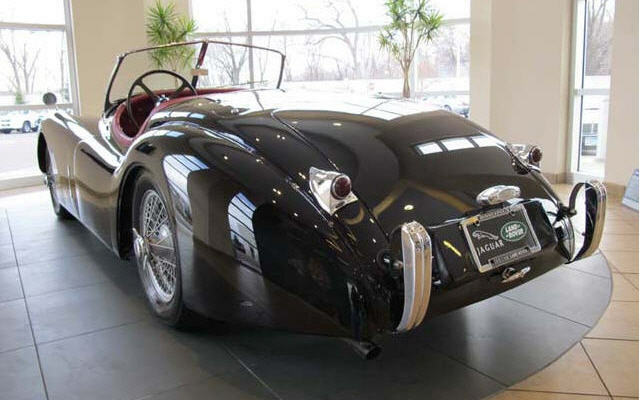 In May 1949, Jaguar demonstrated an XK120 roadster to the press on the high-speed AutoRoute in Belgium. The road was closed for the occasion. 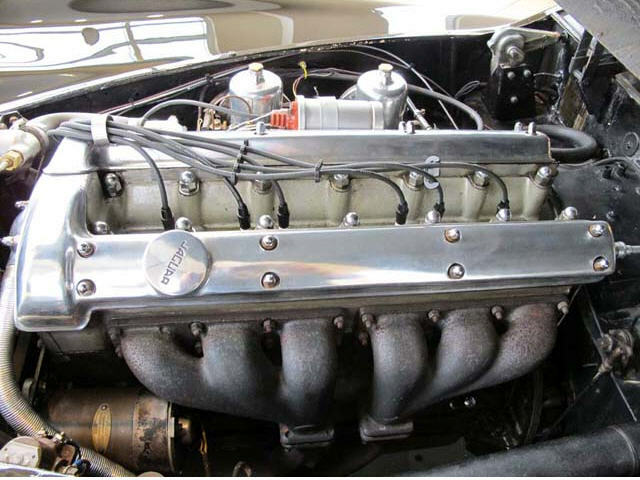 With hood and side screens erected, and the airflow under the car improved by the addition of a full-length aluminum under tray, the Jaguar was timed through the flying mile by the Royal Automobile Club of Belgium at 126.448 mph (203.498 km/h). 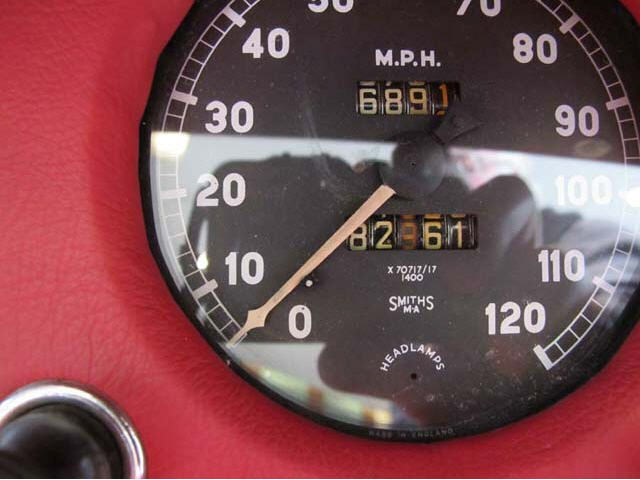 With hood, side screens and windscreen removed, and a metal airflow deflector fitted in front of the driver, the speed improved to 136.596 mph (219.830 km/h). 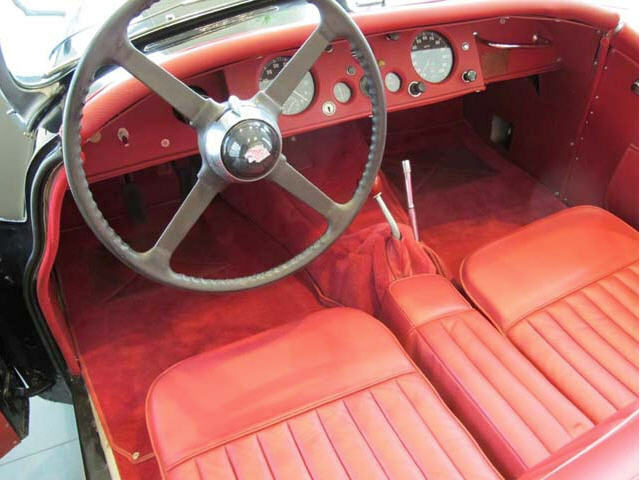 The XK120 was significant not only because of its sporting elegance and its high standards of refinement and comfort, but also because it introduced into the history of the automobile one of the most successful engines ever. 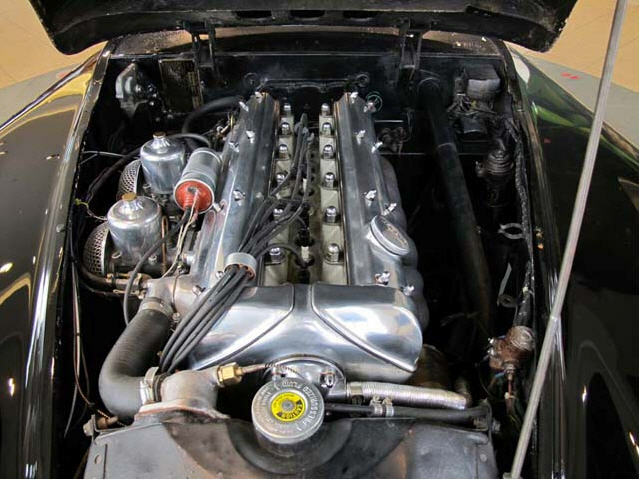 A design and engineering concept developed and still evident in the Jaguar production engine last fitted in a Series 3 XJ6 as late as 1986 and supplied in the last of the prestigious D420 Daimler Limousines in 1992. 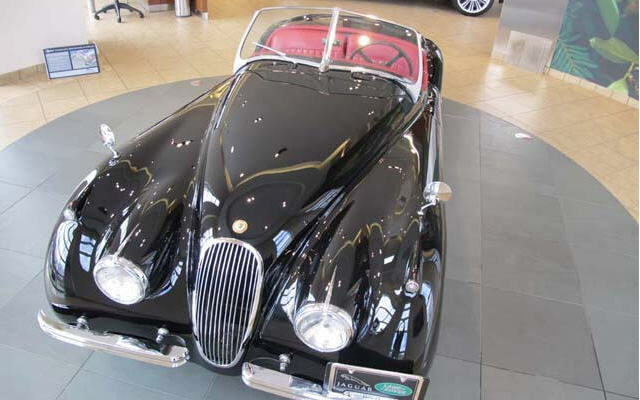 Offered for sale is this exceptional, numbers-matching and factory correct 1954 Jaguar XK120. 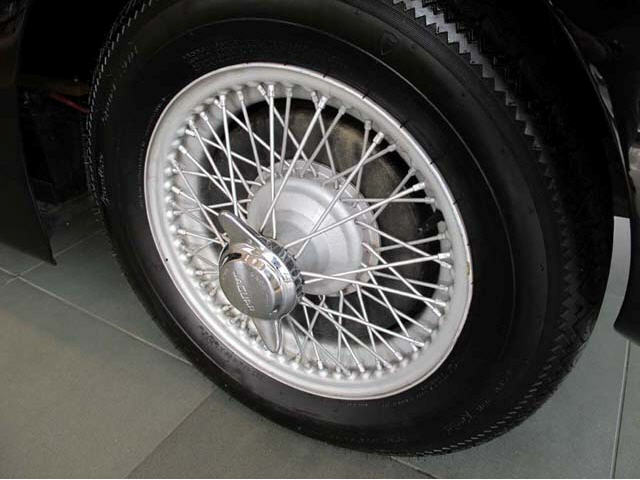 This beautiful roadster has only 62,000 miles and it comes with two sets of wheels and a pair of original factory wheel skirts. 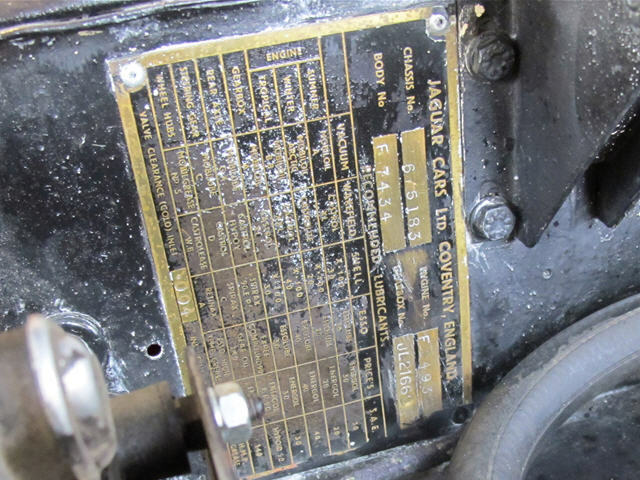 This vehicle has been meticulously maintained and cared for by its past two owners and needs nothing. The car is mechanically fantastic, the transmission is perfect and the car rides and drives smoothly without any hesitation. 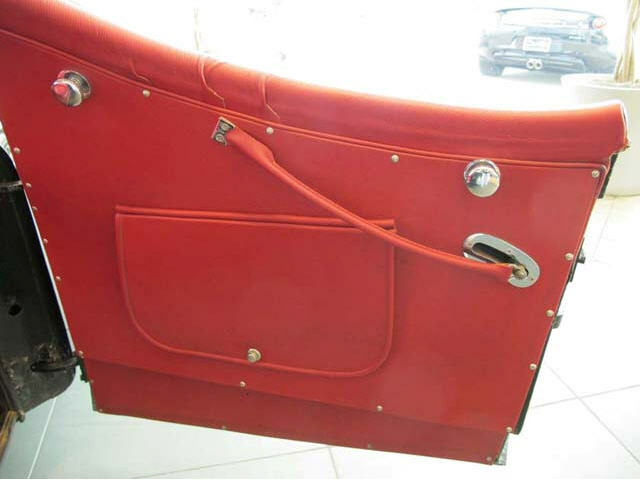 The car’s black canvas top is like new and it comes equipped with the original side curtains. This is not a show car that can’t be driven. It is a car that can, and wants, to be driven yet still looks like a show car. 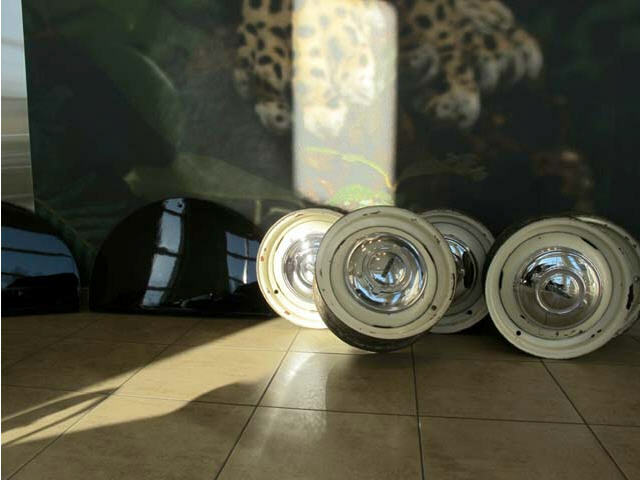 We are a factory authorized Jaguar dealer who has specialized in pre-owned Jaguars for over 40 years. 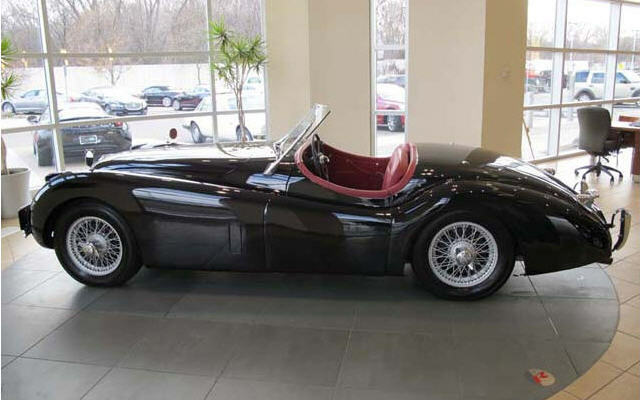 We are proud to have one of the most knowledgeable Jaguar experts in the United States working for us. He can answer any questions you have on the car or on its history. This car is priced for less than some others that are certainly not as nice as this one. We can help with shipping the vehicle anywhere in the U.S. or abroad.